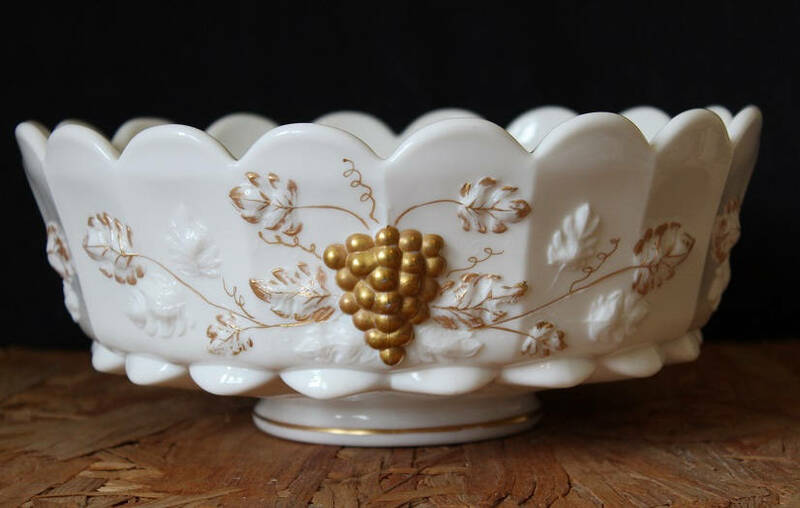 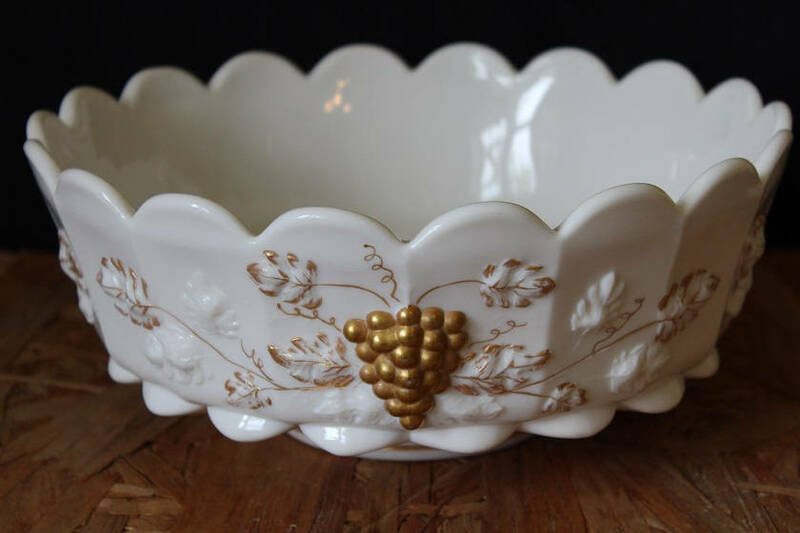 Lovely vintage milk glass bowl was made by Westmorland during the 1970s features hand painted 22K gold grapes and leaves circling around the bowl. 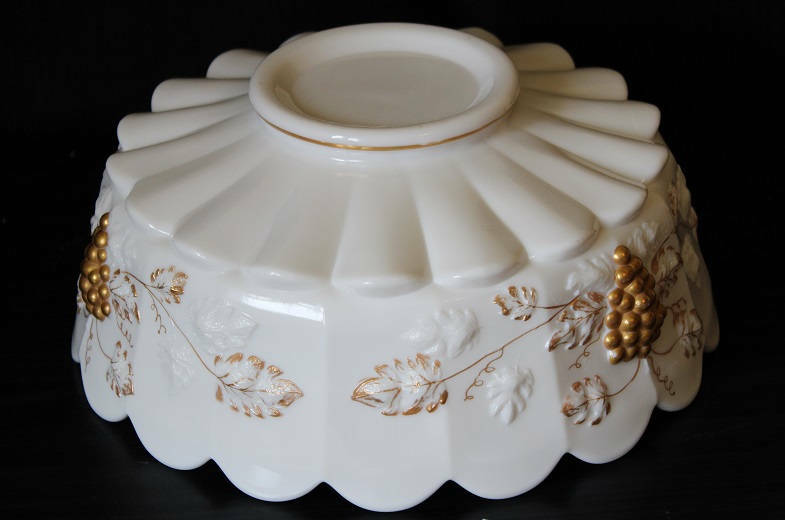 The rim is scalloped and the bottom of the bowl is paneled and sits on a small base. 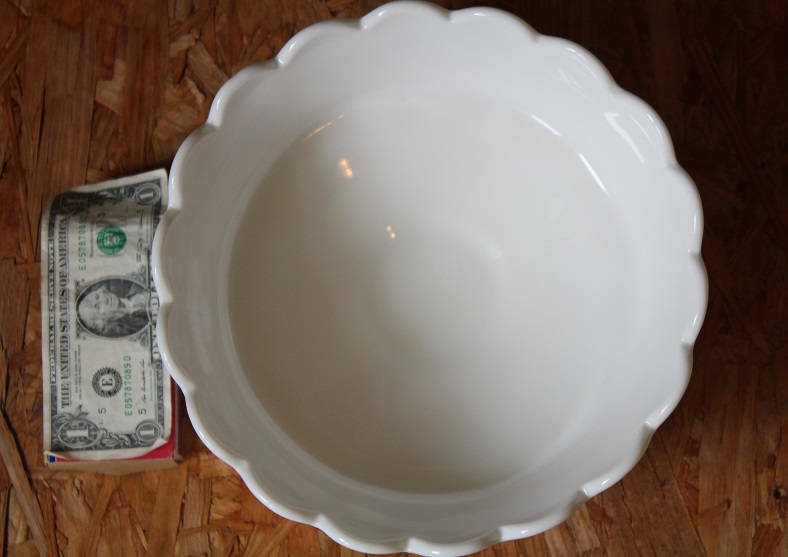 This heavy bowl is from the 915 line.